I've been getting requests on this one, and it's an important topic to talk about. Trying to get more live shows can be difficult, so be sure you take full advantage when you actually do get the show booked. There's an awesome site, www.muzeek.com, that you can use to book live shows. They have everything set up where you create your profile, select your location, set your minimum compensation amount, calendar, contracts, and everything! It's pretty self-explanatory to sign up, but I wanted to talk quickly about what to do at a show to maximize your revenue long term. I wrote a few tips you can follow. 1. 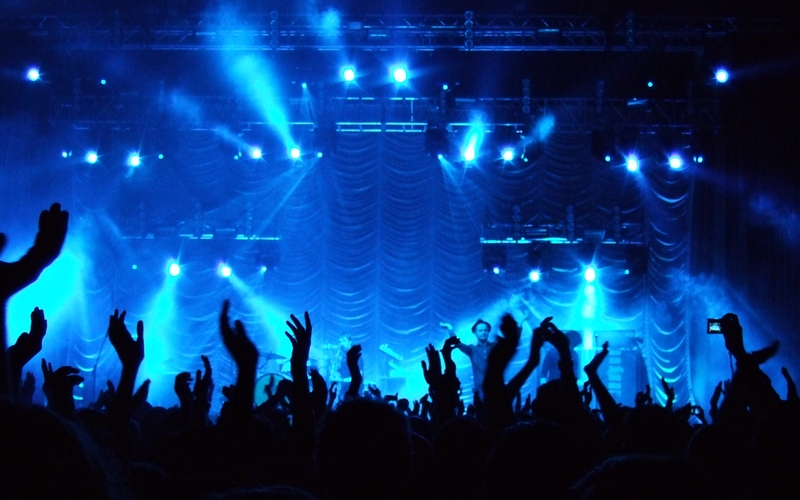 Live shows are a place for artists to connect with audiences. You need to be personable and likeable. Mingle with the crowds and try showing an interest in them before you start telling them about your music before you go on stage (Remember the Twitter advice? <READ TWITTER ADVICE HERE>). 3. It is more important to get them on your mailing list than it is for them to follow you on social media!! Anyone can follow you on social media and your tweets can get lost. However, you can still have your social media accounts advertised during the show, but try and emphasize the email list. 4. After they've signed up to your list they have an interest in your music. Now you can email them where they can hear it online. Advise them if you have it on iTunes, but try and go with a free streaming service like Spotify/Rdio/Deezer. They will be more receptive to this at the start, then later on you can email them about iTunes once they know you more through your emails. 5. Be receptive to feedback at shows. Ask them what you can improve on and let them know it won't hurt your feelings if you can improve in some way. If they see you're sincere, they'll be more sincere with you. 7. If time allows, try and tell a little back story before a song or two, people can connect with you better and will feel like they know you more. That way they'll be more likely to sign up for your email list where you will be an artist whom they are reminded of instead of forgotten. Hope these help! These aren't the average tips like "Be energetic" because I already assume you know that. These are the tips to get you to build a solid fan base so your fans can support you long term. Don't be shy. Leave a comment below so we can connect! Like on Facebook and Never Miss a Post!